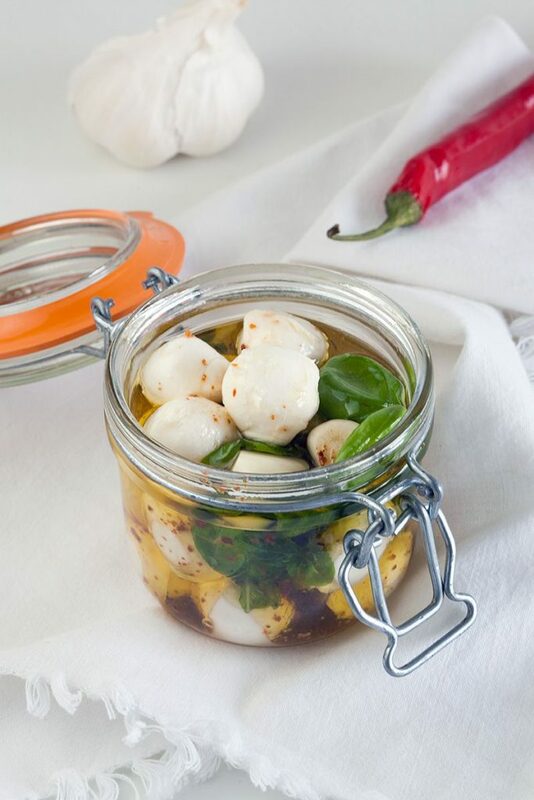 These marinated mini mozzarella balls are perfect as a snack, but also very delicious in all kinds of salads. Made with only a few ingredients. Make sure the preserving jar is cleaned very well. The best way to do is, is boiling it shortly in boiling water. PEEL the garlic cloves and coarsly chop them. DRAIN the mozzarella balls and throw away the water. 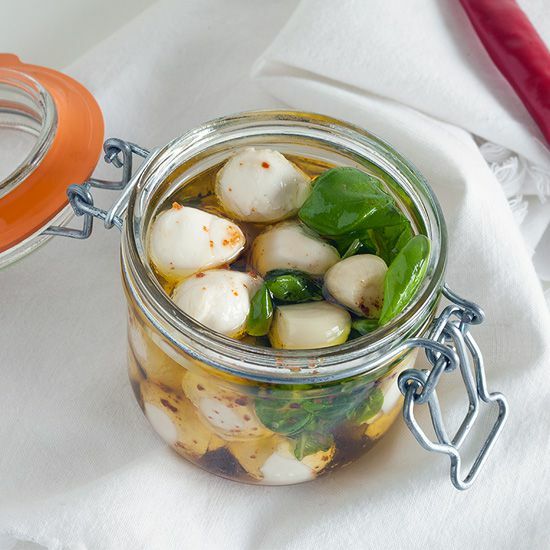 COMBINE the mozzarella balls with garlic cloves, chili and sprigs of basil. 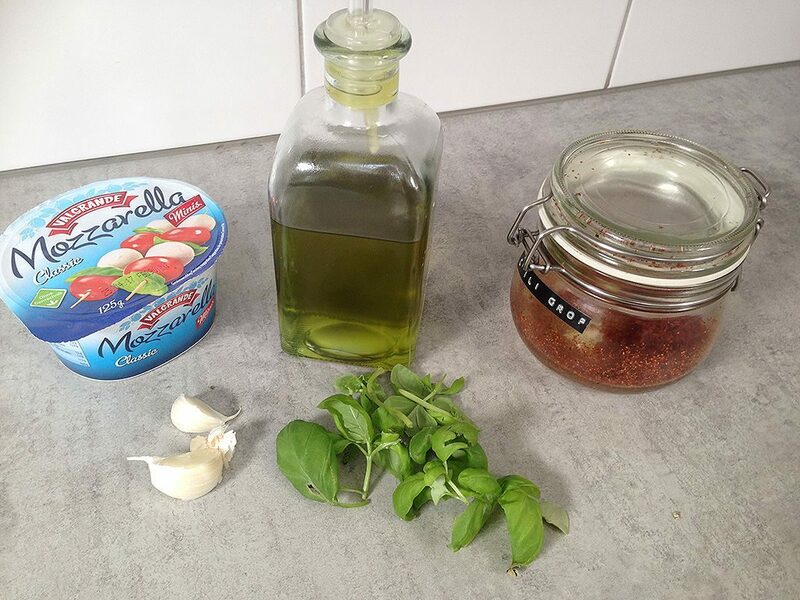 ADD them to the jar and FILL with olive oil until they’re completely covered. 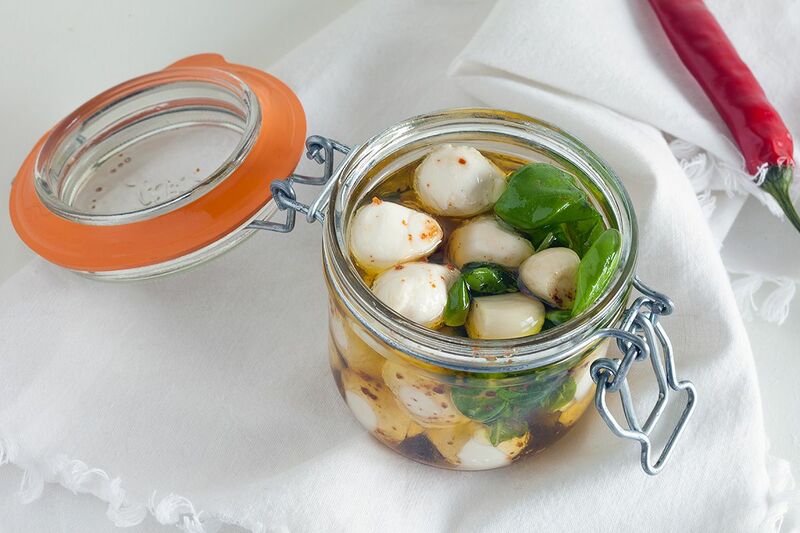 You can SERVE these marinated mini mozzarella as a appetizer, as part of a tapas platter or serve them in all kinds of salads. Enjoy!